Steven is a Master's student in the Human Factors and Applied Cognition program. He received his BA in Psychology from GMU where he was in the honors program. 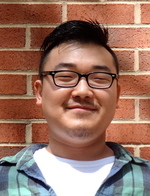 In Spring 2016, Steven received the Outstanding Psychology Undergraduate Research Assistant award. He wants to be at the vanguard of new knowledge and leverage it for the betterment of mankind. Wise men plant trees whose shade they will never know.